CipherLab continues to set the standard for cost-effective, work-efficient scanning with the 1500 Series barcode scanners. These handy scanners simplify your business, enabling you to work smarter and deliver better customer service. CipherLab offers flexibility, productivity and value with its 1500 Series scanners. 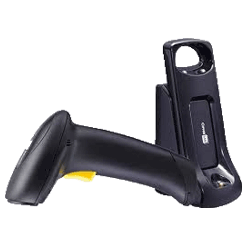 Maximize productivity and performance with the fast, reliable CipherLab1500 series handheld linear barcode scanner. The 1500 offers accuracy and efficiency with the reliability of no moving parts for low cost of ownership. A large LED and adjustable tone, signal instant scan recognition, to speed workflow which is ideal for retail, healthcare and public sector. CipherLab quality and reliability are backed by a 5-year warranty.